Sustainable is a big, important word in the year 2019. With Earth Day coming up, now is the time to start thinking about how the materials you choose and use in your home will impact the planet. 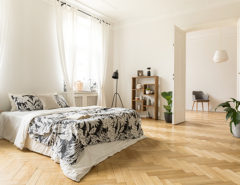 Even if you know you’re going to be keeping your flooring for many years, there are some flooring materials and products that are simply better for the environment and long-term use than others. 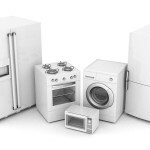 Being in the know when it comes to sustainable materials can feel a little tricky when you’re just getting started or you shopping for a long-overdue home renovation project. 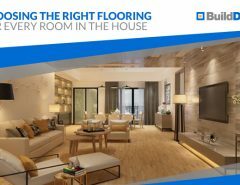 After all, you just want flooring that looks good and functions correctly. The good news is you can get that in a form that’s sustainable and earth-friendly for you and your family. 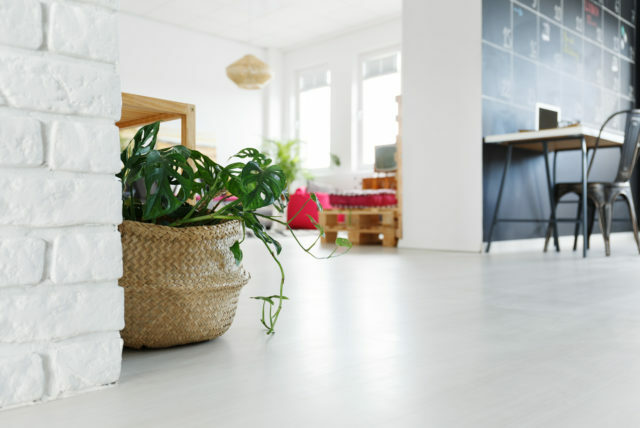 Use this guide to learn more about sustainable flooring materials that you should look into for your 2019 home renovation or upgrade. You’ll love the way they look and feel, and best of all, the planet and all future generations will thank you! Where did the materials come from? Eco-friendly sourcing is a must if you’re looking for sustainable flooring. Look for materials that are sourced responsibly, and ideally, not across the world from their installation location. Are they made with recycled materials? Flooring made from recycled materials are one of the most sustainable choices you can make. 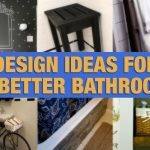 You’ll also want to know if the flooring you use can be recycled and reused for something else down the road. 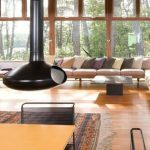 Will my floors be durable? Flooring that’s durable is the most sustainable choice for your home since you won’t have to replace it in a few years when it becomes worn. 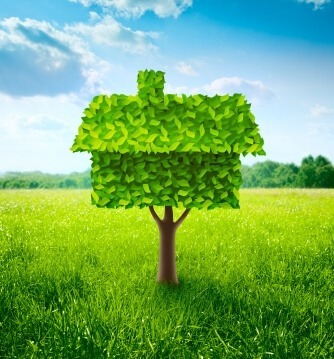 Materials like eco-friendly timber can last as long as your home in many cases. 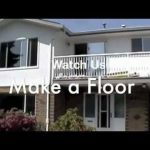 Do my flooring materials include toxic chemicals or glues? 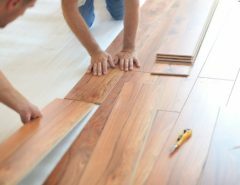 Some flooring materials do, which generally means they’re not eco-friendly and likely can’t be recycled later. Try to avoid these when possible. 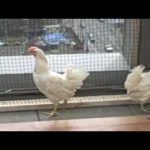 Will they help me cut down on heating and cooling costs? Some materials like porcelain and ceramic tile have high thermal mass, which means they’re very good at helping provide additional insulation for your home. 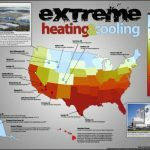 That can help you cut back on heating and cooling via forced air systems, which is definitely a benefit for the planet as a whole. Responsibly sourced bamboo is a fast-growing material that generally has less environmental impact than harvesting traditional timber like hardwood. 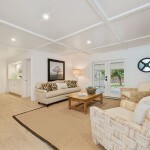 With a very similar feel underfoot and a modern, contemporary look, bamboo is a popular choice in many different spaces. At home in the living room, den, family room, kitchen or bedroom, there’s really no bad place to put bamboo since you can easily warm up your décor with area rugs. Responsibly sourced bamboo is fast-growing, so it puts less stress on the earth when harvested. Bamboo is strong and durable. A bamboo floor will last for many years when cared for properly. Bamboo is easy to clean. That means you’ll use less energy doing things like vacuuming, which is a major issue with flooring like carpet. 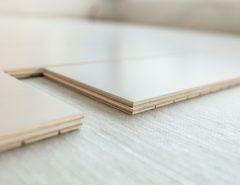 Bamboo flooring made without toxic glue can be recycled and reused later. 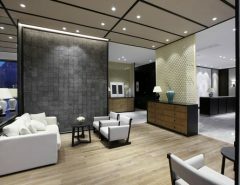 Porcelain and ceramic tile have long been mainstays in building, renovation and interior design projects. Two of the most eco-friendly materials when responsibly created, porcelain and ceramic will work in your bathroom, kitchen, living room, den and even the bedroom. Porcelain and ceramic tiles also come in a wide range of looks that can mimic the feel of everything from natural hardwood to marble and granite. 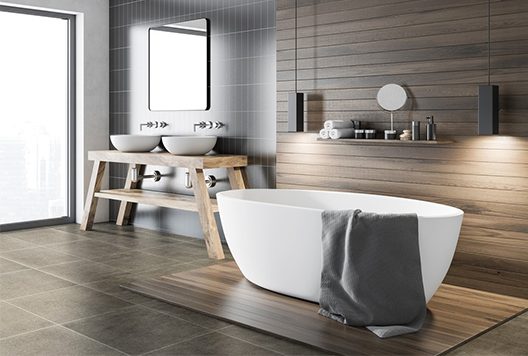 Porcelain and ceramic tile manufacturers use materials that aren’t endangered or hard to source. Porcelain and ceramic tile are very durable. They’ll likely last longer than many fixtures in your home! Broken tiles can also be easily replaced without installing new flooring if you buy a little extra before your install date. 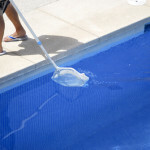 Porcelain and ceramic tile are easy to clean. They can be ground up and reused later. Incredibly resilient and built to last for a very long time, cork is a unique flooring material that can give your home a modern style. However, you can find more traditional looks as well. 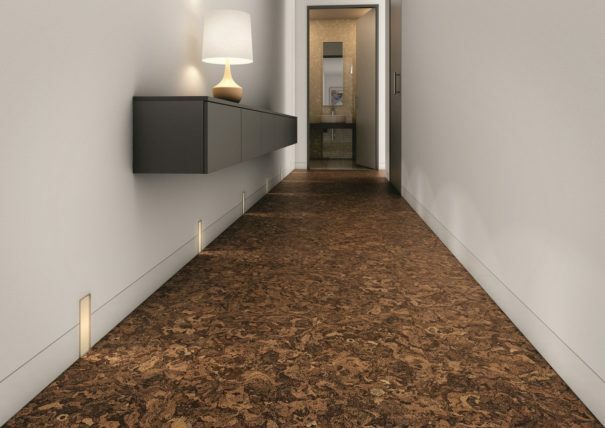 Many people also love the feel of cork, which is neither hard like tile or too soft like carpet. Cork is commonly made from renewable materials that have minimal environmental impact. Cork is strong and durable. Cared for correctly, it can last many years. Cork is made for low-toxicity materials. 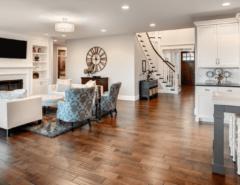 Your floors are one of the biggest parts of your home design. You don’t have to give up good looks to use sustainable materials that are good for the planet. Learn more about bamboo, porcelain and ceramic tile, recycled timber and cork today. 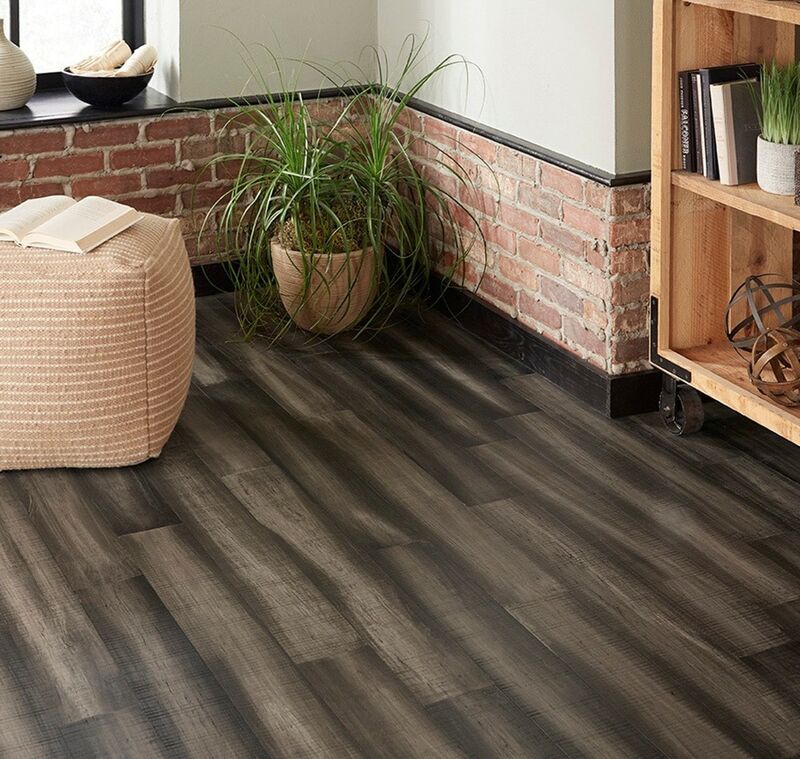 With these materials, you can find the look you love without the guilt of shopping for flooring solutions that don’t meet your eco-concerns.